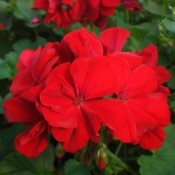 Zonal: This group is prized for its large beautiful flower heads and the leaves have a dark zonal pattern. 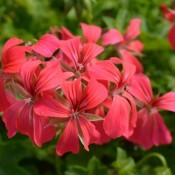 Some zonal geraniums have fancier leaves edged by various colours. Ivy: This type has ivy-like leaves, a trailing habit and can tolerate a fair amount of shade. They are perfect for hanging baskets and window boxes. 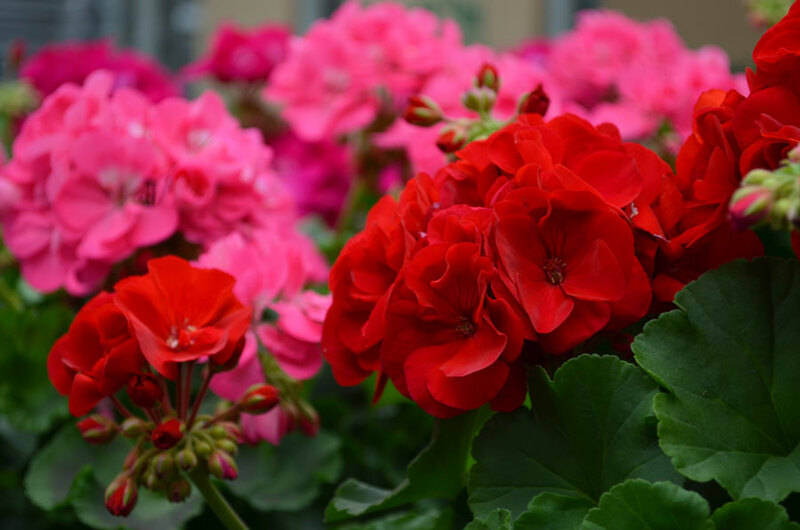 Martha Washington or Regal: Large frilly flower clusters make this type of geranium a prized plant in the garden. They have woody stems and can grow up to 2 feet tall. 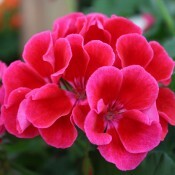 Scented geraniums: These geraniums are grown not for their flowers, but primarily for their fragrant leaves. Available in various scents such as ginger, mint, citrus and rose. 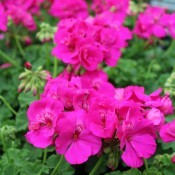 Cascading Pink is a half-cascading geranium variety that yields an abundance of petite, five-petalled pink blossoms. But despite their delicate appearance, these blooms are extremely tolerant of heat and love the sun. They flower continually throughout the summer, and require very little care. These plants are excellent for window boxes and hanging baskets. 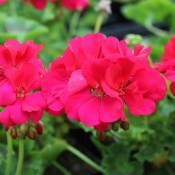 Clio™ Cascading Red is a half-cascading geranium variety that yields an abundance of petite, five-petalled red blossoms. 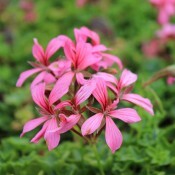 But despite their delicate appearance, these blooms are extremely tolerant of heat and love the sun. They flower continually throughout the summer, and require very little care. These plants are excellent for window boxes and hanging baskets.